K.R. 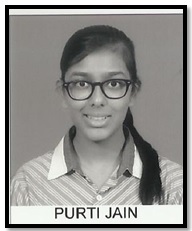 Mangalam World School,Vikaspuri is pleased to announce that Purti Jain of Class XI has been shortlisted for the Times NIE Summer Editorial Training Program 2016-’17 . She is one among the talented 50 to have been selected from schools in Delhi NCR to get a chance to work with the editorial team of The Times of India-Student Edition and gain hands on experience about editing and journalism. The Trainee will get 4 days of theoretical training and a project assignment for submission. At the end of the training Purti will get a Certificate of Honour from the Editor. The Principal, Ms.Meenu Kanwar, congratulated Purti Jain on her selection and wished her all the best.